It's no secret that I'm one to appreciate minimalism. At the beginning of the year I even dedicated a whole month to the topic and not just here but on my Instagram as well. I'm not the most minimal person you'll ever find but I am drawn to products that also resemble my more minimal aesthetic which is why I appreciate Barn & Willow's styles and color options. shades of white, subtle greys, natural taupes and muted mint hues to choose from. In our home the front windows are all dressed, so to speak. Long curtains cover most of the front of the house but the back bedrooms, being Elin's and my own which I share with my husband, were pretty bare. 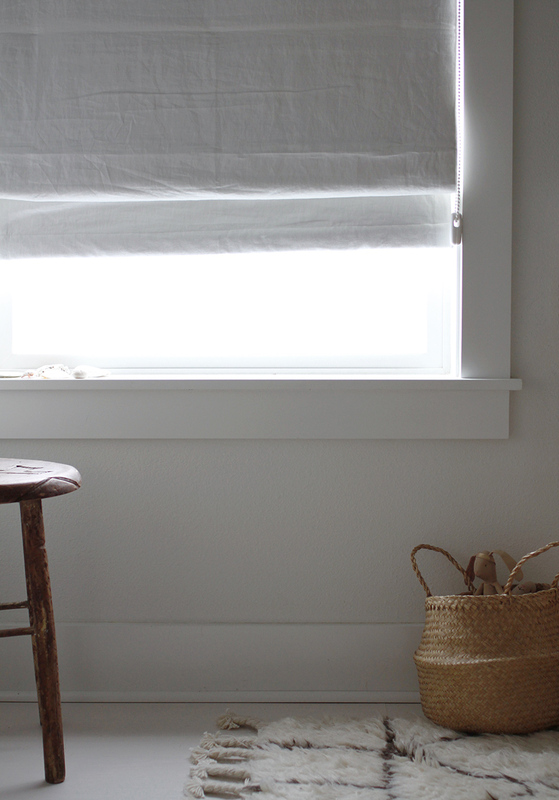 We can tick one of those of our list with this linen roller shade from Barn & Willow. 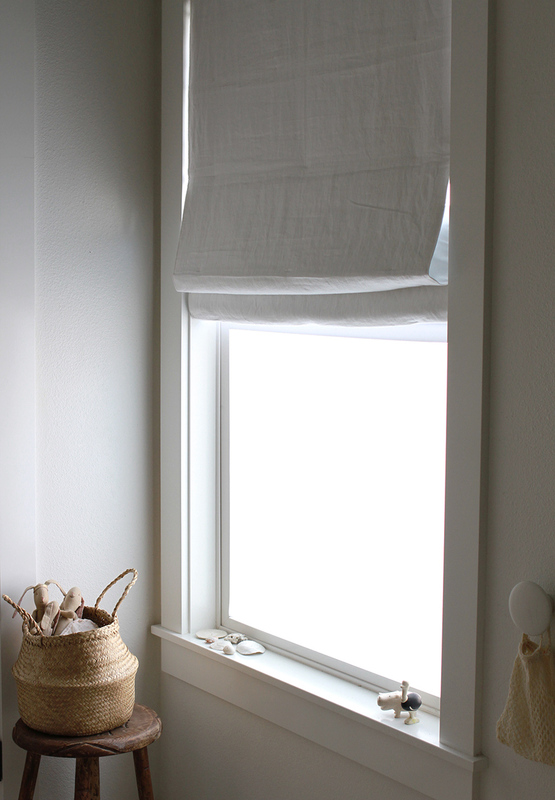 They made a variety of roller blinds in several colors and sizes, which you might recognize from here. Once you've nailed down the color you want and input your window dimensions you can continue to customize features like liner and cord type. the ordering process is super simple and super specific. 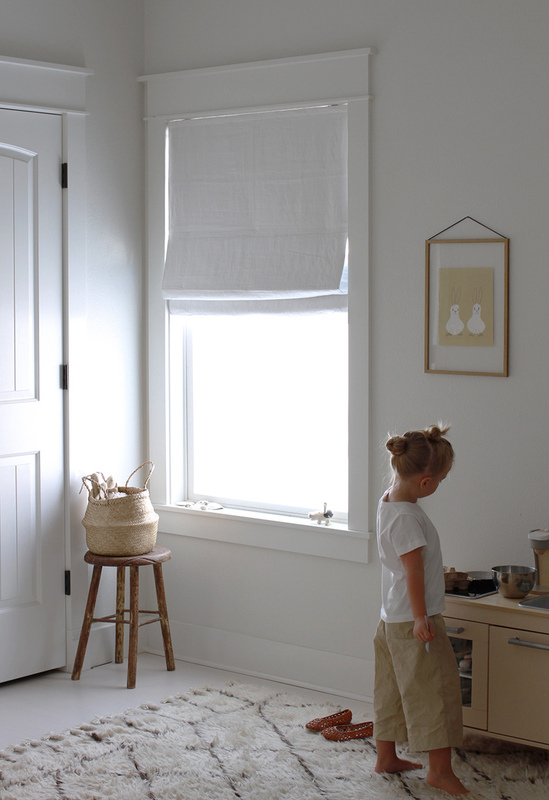 For Elin's room I chose Optic White in the Belgian Flax Linen Roman Shade, which I think suits her space best. I also chose a black out liner for naps and for those early bedtimes in the bright summer months so that very little light filters through. The linen texture works well in our home where we already have natural linen as parts of most rooms in our home. It has a very soft and natural look but with liner it still feels susbstantial and effective at blocking light. I added an opaque film to give her privacy from the neighboring house so that even with the blinds fully drawn, only light filters through. 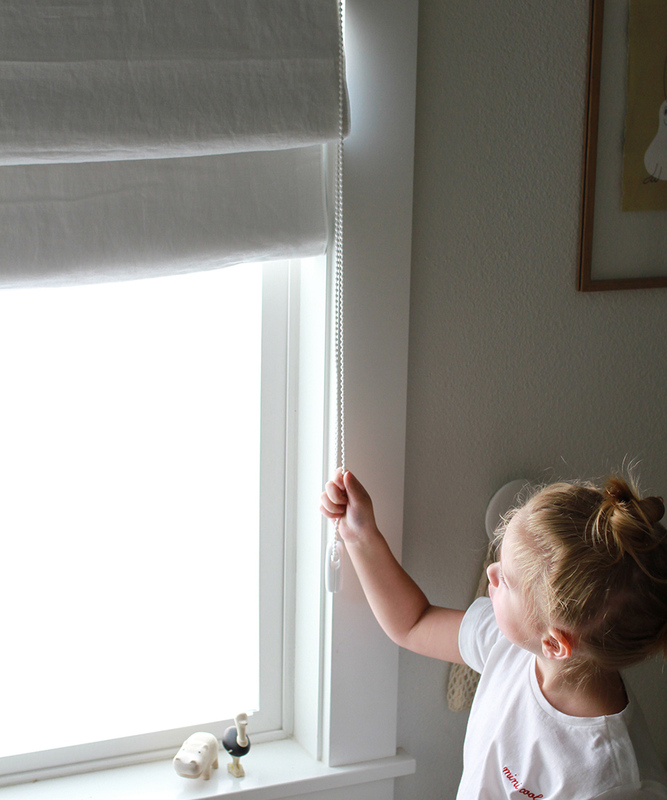 Elin likes opening and closing her shade every morning and night, which is a nice way to let her help with little tasks around her room. Next on the list is our bedroom! *This sponsored was sponsored by Barn & Willow, however all words and genuinely enthusiastic review are my own!